There is an important Pittsburgh and Steelers related effort that needs your help! This is a matter of Pittsburgh pride. 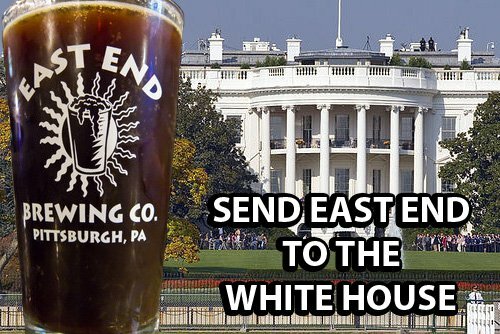 It seems that the White House has placed an order from a Wisconsin brewery for the super bowl, but not from Pittsburgh. 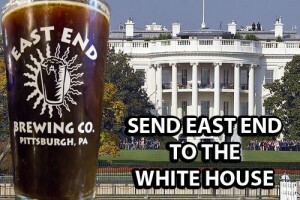 It seems that during a recent visit to Wisconsin, The Whitehouse placed a beer order from fellow Craft Brewer, Hinterland Brewing Company in Wisconsin, so that they could have some Green Bay beer on hand for the Superbowl. Simple enough, but maybe you can already see that this act by itself, is not exactly a “beer-partisan” move. Since Friday of last week, we’re working to help correct that.